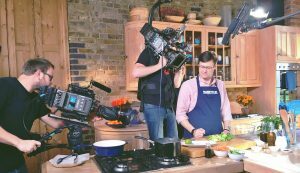 A series of healthy recipe films and a 20” TV commercial, aimed primarily at people living with diabetes. 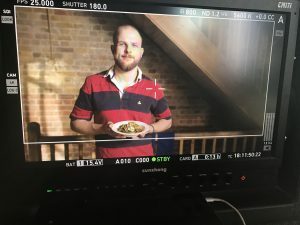 Working with creative agency Arthur London, we were tasked with shooting a series of healthy recipe films and a 20” TV commercial, aimed primarily at people living with diabetes both young and old including different demographics and ethnicities. 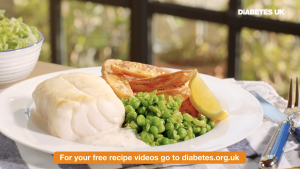 The campaign approach was to use service and support style content to reach out and drive engagement with ‘the mass market’ diabetes community in the UK. The primary objective was to drive data capture at the point of engagement and then to build sustainable relationships, via relevant and personalised customer journey planning, to lead to a long term conversion to financial support. 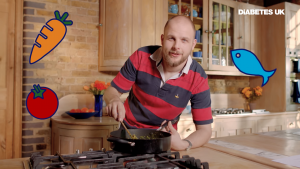 The over-arching theme across the campaign was was ‘The food you love, but healthier.’ Each recipe was served via weekly emails and included other related content relevant to our audiences. 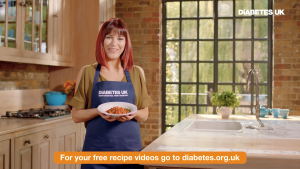 The TV Advert was broadcast across a wide range of channels to kick off the campaign, with a strong call-to- action directing people to the Diabetes UK website where they can sign up to receive the series of online films into their inbox.